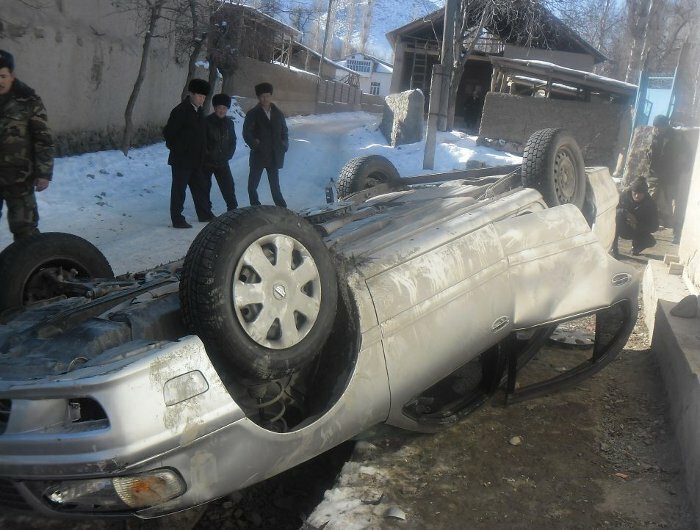 Fergana continues its investigation into the incident that shook the south of the Fergana Valley early January 2013. A resident of Batken, who wished to remain anonymous, told Fergana his version of the events. 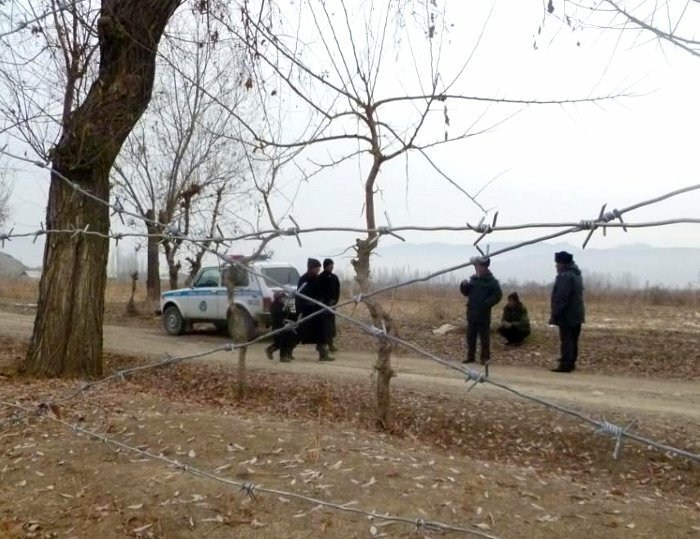 “At around 1800 hours on 5 January, some 50 Uzbek citizens approached the [Kyrgyz] Charbak border outpost. A road designates the borderline there, albeit it is jointly used [by both Uzbek and Kyrgyz citizens]. There were six or seven concrete [electricity] poles erected on the Uzbek territory (beyond the demarcated borderline). These people came and said the poles were erected in a wrong location. Additionally, there were holes dug [for new poles] and an informal leader [among the aforementioned Uzbek citizens] demanded they be filled up. But the Uzbek citizens in question did not limit themselves to breaking electricity poles. Apparently they were trying to deteriorate the situation. According to our anonymous interlocutor, the crowd then stormed several Kyrgyz houses and took some 40 residents hostage, although it is not clear what for. Part of the hostages – mostly women and children – was released in the evening of 6 January; the rest were released around 0500 on 7 January. The interlocutor claims to have personally seen some of the hostages, who were injured while they were forcibly held in the Uzbek territory – black eyes, psychologically depressed women and scared children. 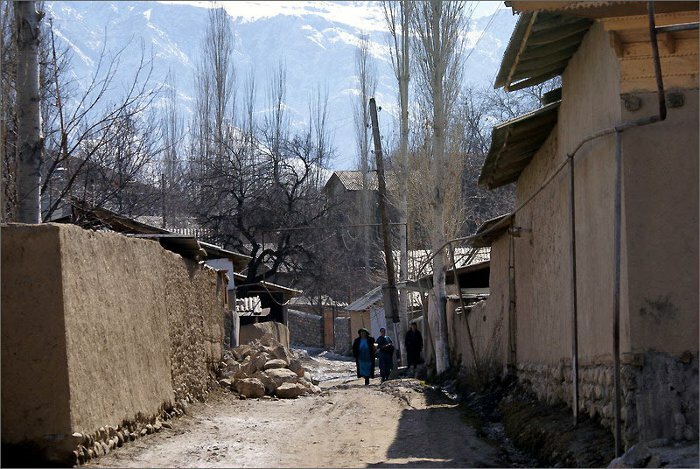 According to Kyrgyz sources, the hostages were held in a warehouse of the village hospital in Hushyar. Although it is not clear how badly they were hurt: only five people remain in the Charbak village hospital as of this writing. According to our interlocutor’s words, Kyrgyz citizens, too, took several Uzbek citizens hostage. According to the Vecherniy Bishkek newspaper, the Uzbek sides’ actions stirred discontentedness even in the Kyrgyz capital, Bishkek. 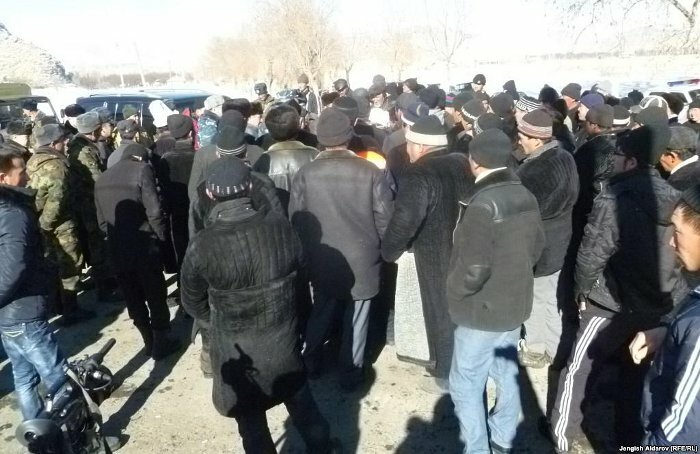 A group of Batken Region natives held a rally near the Kyrgyz parliament, demanding the Kyrgyz government undertake urgent action to defend their fellow countrymen, or provide them with transportation and weapons. But the rallies in Batken and Bishkek ended peacefully. 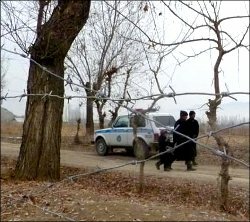 The hostages were promptly released and officials held urgent negotiations that ended with encouraging statements, at least from the Kyrgyz side. It is noteworthy that Uzbek officials have limited themselves to a single statement of the Committee for Protecting State Borders, which was carried by a government-controlled website. Neither the information agency of the country’s foreign ministry nor any other mass media outlet reported on the incident.